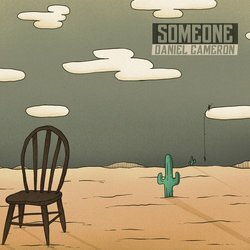 South Australian Singer/Songwriter Daniel Cameron has a truthful sound to his music, driven by his experiences and passion to see his audience influenced by positive and personalised Lyrics. Inspired by artists such as, Paul Dempsey, The Kite String Tangle, The Middle East, Dustin Tebbutt Johnny Cash, Elvis and Otis Redding. Daniel’s music is a blend of folk rock and roots. Releasing a 4 track at the age or 19 and hitting the UK song writing competition becoming semi-finalists with his title track ‘Find you Escape”. Not long after releasing a 6 track EP with his title track “Beautiful Consequences” put on rotation in cafe's and restaurants around Australia and New Zealand with mood music. In 2012 Daniel played at the Gorgeous festival, playing along side other artists such as Missy Higgins and Dan sultan. Over the recent years Daniel has been working on changing is sound, keeping it modern combining vocal layering and earthy guitar textures with a hint of electronic production. Daniel's music is genuine, with catchy melodies, which leave a realistic impression.